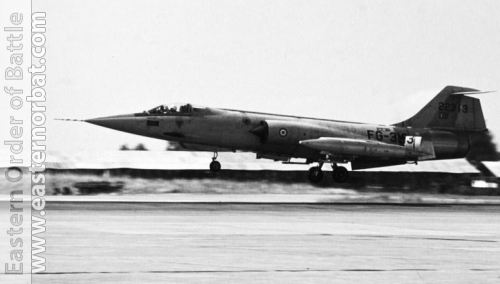 In the mid-sixties the US delivered Lockheed F-104G Starfighter fighter-bombers to Turkey and Greece. In response the Soviet 119th Fighter Air Division received modern MiG-21 Fishbed models between 1964 and 1966. The old MiG-17 Fresco and MiG-19 Farmer fighters were retired. The 684th Guard Fighter Air Regiment received the latest model MiG-21S Fishbed-J. The third generation MiG-21S was equipped with the new RP-22 air-intercept radar. 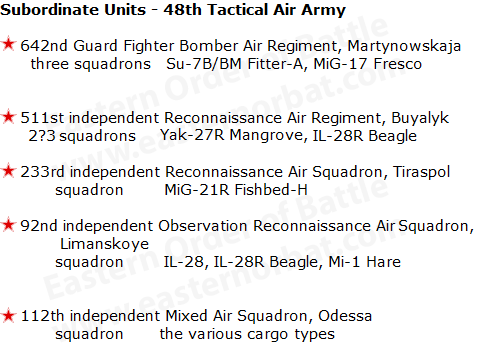 The 684th Guard Fighter Air Regiment began the re-training in 1966 at 4th Center for Combat Employment and Retraining of Personnel at Lipetsk. 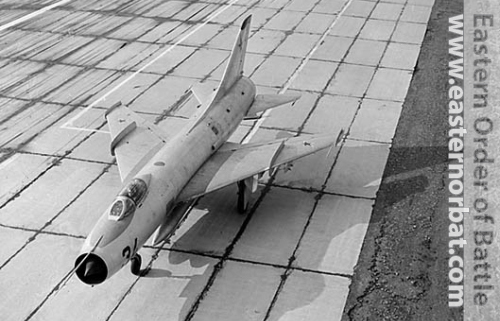 The MiG-21S Fishbed-J type was deployed in 1967. The old MiG-19 Farmer has been extracted. The MiG-21S Fishbed-J was armed with one GSh-23L twinbarrel cannon housed in a conformal GP-9 gun-pod and provided with 200 rounds. 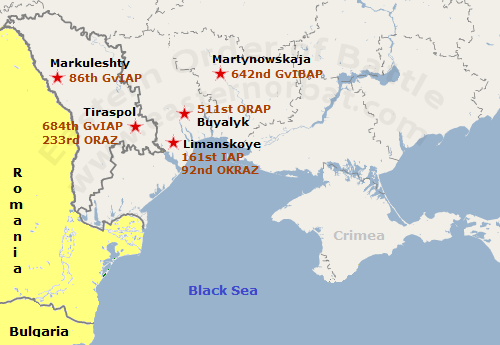 The first accident of the 684th Guard Fighter Air Regiment was also caused by this. The GP-9 gun-pod exploded during firing. The MiG-21S Fishbed-J crashed. The 5th Tactical Air Army’s nuclear strike was the Su-7B Fitter-A type. The 642th regiment used the Su-7B Fitter-A bombers from 1961. The 233rd ORAZ's very old MiG-15bisR Fagot reconnaissance planes were replaced. 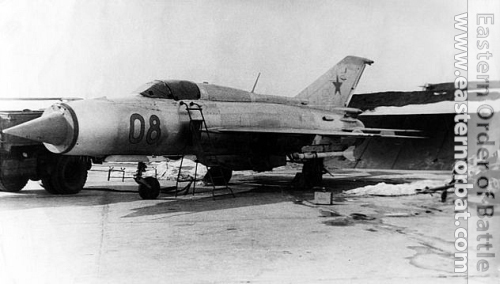 The regiment received modern MiG-21R Fishbed-H reconnaissance aircraft in 1967. They received training at Lipetskaya. Many new pilots came to the reconnaissance squadron. Among them were those who were flying with MiG-19 Farmer previously. 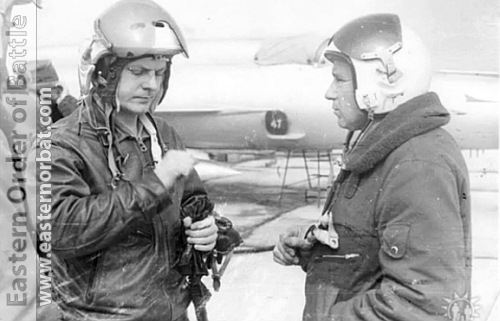 They were training at 4th Center for Combat Employment and Retraining of Personnel, first with the MiG-21PFM Fishbed-F type then with the MiG-21R Fishbed-H type.